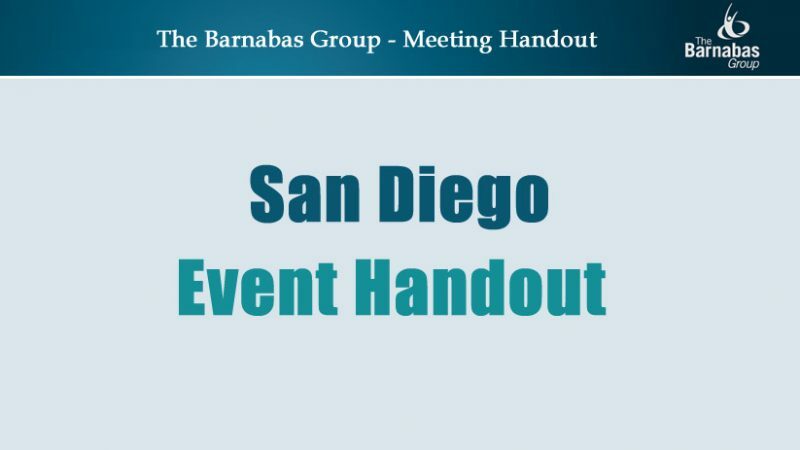 The Barnabas Group San Diego August 16, 2017 meeting at the Handlery Hotel San Diego was a hit! If you missed it, you can read more about it in the handout. 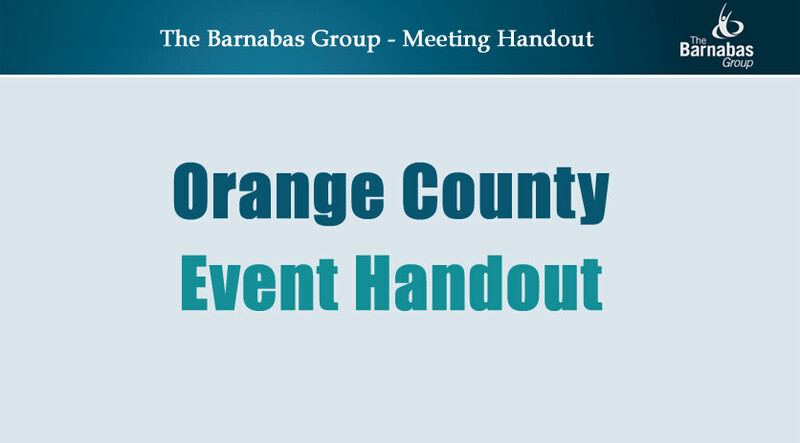 The Barnabas Group San Diego May 22, 2015 meeting at the Handlery Hotel and Resort was a hit. If you missed it, you can read more about it in the handout below, by tapping or clicking the link below: San Diego Handout May 2015. The Barnabas Group San Diego August 2014 meeting at the Handlery Hotel and Resort was a hit. If you missed it, you can read more about it in the handout below, by tapping or clicking the link below: San Diego Handout August 2014. The Barnabas Group San Diego May 2014 meeting at the Handlery Hotel and Resort was a hit. If you missed it, you can read more about it in the handout below, by tapping or clicking the link below: San Diego Handout May 2014. The Barnabas Group San Diego February 2014 meeting at the Handlery Hotel and Resort was a hit. If you missed it, you can read more about it in the handout below, by tapping or clicking the link below: San Diego Handout February 2014.